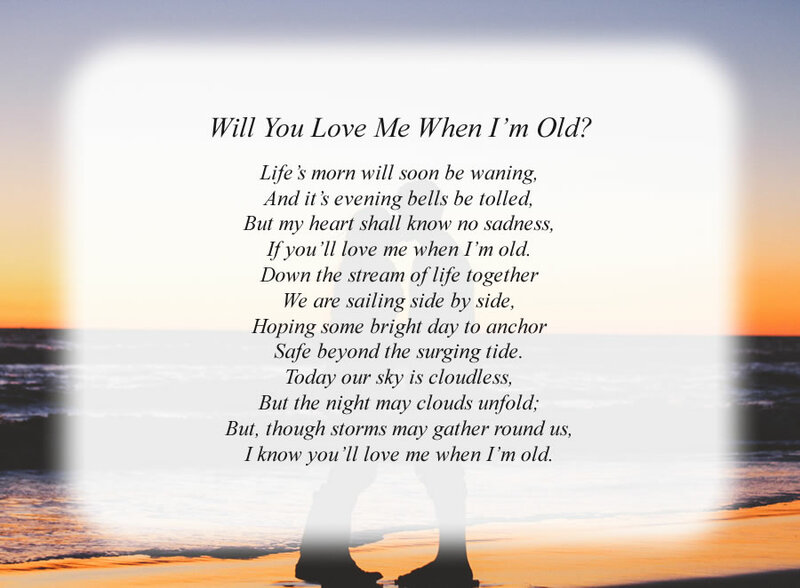 Free Love Poem - Will You Love Me When I'm Old? If you'll love me when I'm old. I know you'll love me when I'm old. The poem, Will You Love Me When I'm Old?, is free and printable by opening or downloading using one of the three links below.